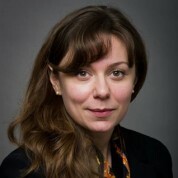 Almira Zejnilagic Cemmell is a Managing Director at FTI Consulting in London. Almira and her team work on establishing strategies for arbitration and litigation cases, as well as supporting legal teams on delivering these strategies successfully. Before joining FTI Consulting, Almira headed up the Oil, Gas and Natural Resources department at Global Witness, an international NGO that investigates corruption in the natural resources sectors. Previously, Almira worked in the Serbian Ministry of Finance (for Schlumberger-Sema) and at the Serbian Parliament (for the Organisation for Security and Cooperation in Europe – OSCE). Almira is a trustee of Future Brilliance, a vocational training charity and volunteers for a number of Eastern European NGOs. She was one of the leaders of the Serbian Student Union in the early 2000s; the organisation which played a pivotal role in ousting the Milosevic regime. Almira is a Wilton-Park leader and one of the Young Global Leaders of the World Economic Forum.